Where do we come from? There are many right answers to this question, and the one you get often depends on who you ask. For example, an astrophysicist might say that the chemical components of our bodies were first forged in the nuclear fires of stars. On the other hand, an evolutionary biologist might look at the similarities between our DNA and that of other primates’ and conclude we evolved from apes. 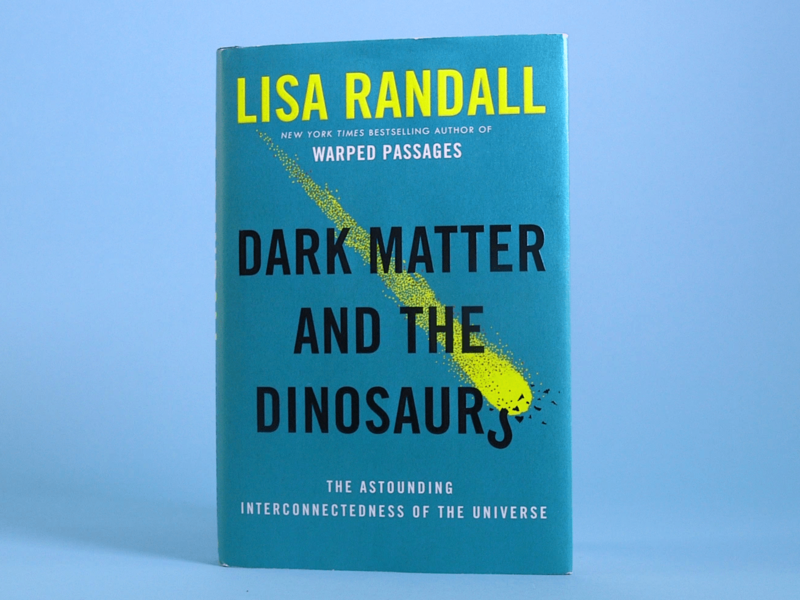 Randall has written other popular science books, including the New York Times bestseller “Warped Passages: Unraveling the Mysteries of the Universe’s Hidden Dimensions.” Her studies at Harvard explore theoretical particle physics and cosmology. In her latest book, she posits that the extinction of the dinosaurs — necessary for the emergence of humans — is linked to dark matter. Dark matter is the mysterious, invisible matter that astronomers estimate makes up 85% of all matter in our universe. Paleontologists largely agree that about 66 million years ago a giant, 9-mile-long celestial body — likely a comet — struck Earth. 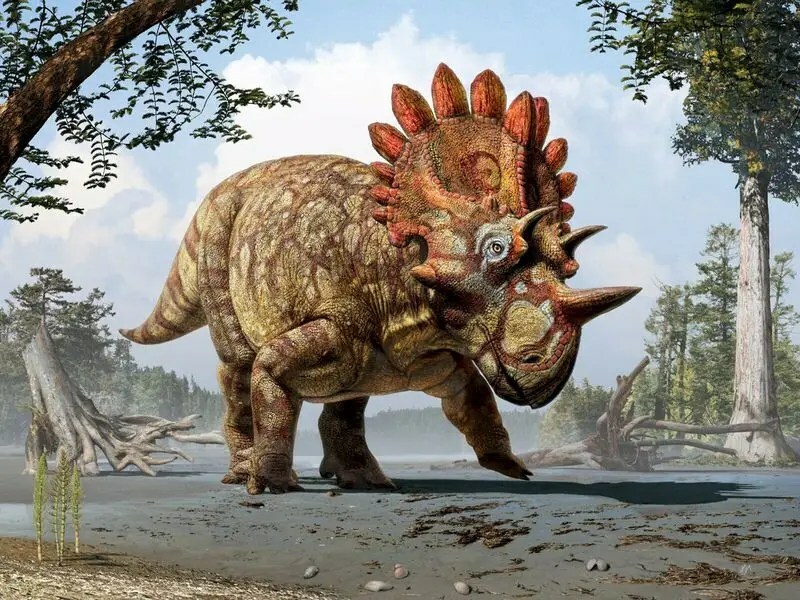 The impact wiped out 75% of species across the planet, including most of the dinosaurs. Among the survivors were small primates. Over the next 66 million years these primates diversified, grew larger, learned to walk on two legs, and developed large brains, which they eventually used to invent pizza delivery. So what caused that giant space rock to collide with our planet in the first place and give primates a chance to thrive? It could just be chance — or luck, depending on your perspective — but Randall would disagree with both of these ideas. In her book, Randall describes a dark, pancake-shaped patty of densely packed dark matter within our galaxy that could be responsible for our emergence as a species. 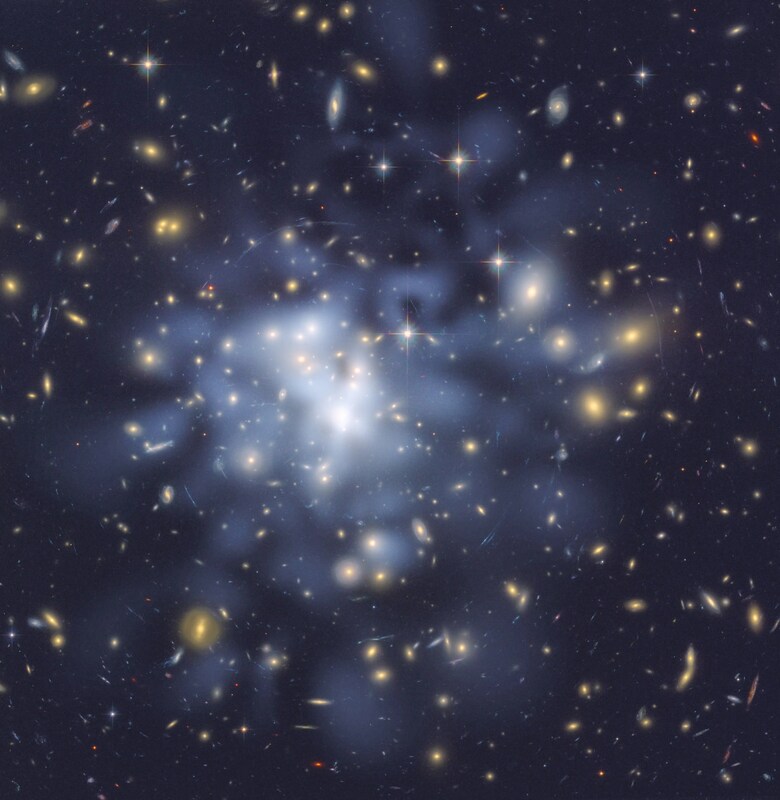 Dark matter has never been directly detected. However, there is enough evidence for its immense gravitational influence on our universe that the vast majority of the scientific community agrees that dark matter is a form of mysterious matter that we can neither see or touch, but that nevertheless must permeate the cosmos. Generally, dark matter tends to be concentrated in large halos around galaxies like giant bubbles. But Randall thinks that there could also be a so-called dark disc amid the stars, planets, and gas clouds in our galaxy. If there is dark matter in Randall’s hypothetical disc, then it stands to reason that the disc has a powerful gravitational influence on the objects around it — including our solar system. But our solar system is not always near the disc, which is the crux of Randall’s theory. As the solar system revolves around the center of the Milky Way — the same way Earth revolves around the sun — it moves up and down, or oscillates, through the plane of our galaxy. And the rate of this oscillation is very intriguing. A team of astronomers made a rough estimate of this oscillation rate near the turn of this century, calculating that our solar system passes through the plane of the Milky Way about once every 32 million years, which means if there’s a dark disc, we pass through that at the same rate. Interestingly, there’s evidence to suggest that mass extinctions in Earth’s past happened within this time frame, or about once every 25 to 35 million years. It’s this similarity between the mass-extinction rate and the rate of our solar system’s oscillation through the galaxy that made Randall and her Harvard colleague Matthew Reece first suggest the link in a scientific paper published in the journal Physical Review Letters last year, and that Randall explores more in her book. Randall hypothesizes that when we’re passing through the dark disc, the gravity from the dark matter within influences the outer region of our solar system, called the Oort cloud. 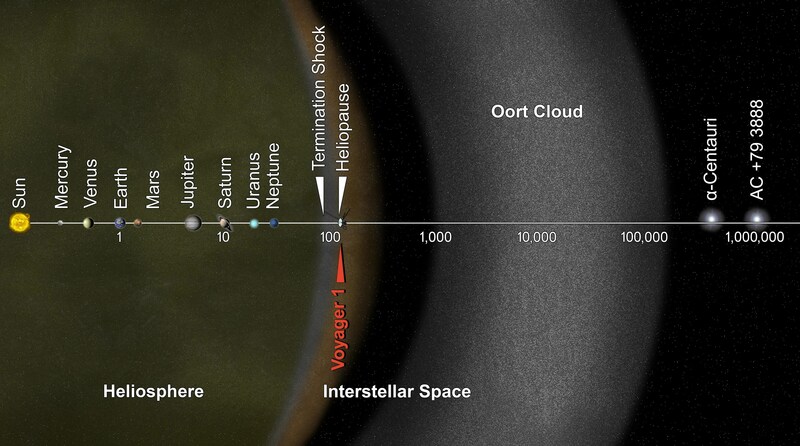 The Oort cloud, illustrated below just right of center, sits between roughly 1,000 to 100,000 Astronomical Units (90 billion to 9 trillion miles) from the sun and is thought to contain billions of icy objects at least 12 miles wide. If something 12 miles wide hit Earth today, it would mean the end of life as we know it. And Randall thinks that’s exactly what happened to the dinosaurs 66 million years ago that opened the door for widespread primate evolution. NASA Goddard Spaceflight CenterDark matter is illustrated here as the fog between galaxies. While it’s impossible to wind back the clock, proving the existence of the dark disc would greatly advance Randall’s theory. She’s tried to do so by looking at the speed and direction of stars in our galaxy. If stars moved in ways that couldn’t be explained by the amount of ordinary, visible matter around them, then it could suggest the presence of the dark disc. But that’s a very tall order. There are about 100 billion stars in the Milky Way, and hunting dark matter is notoriously tricky. We have a dozen or so functioning detectors underground, on Earth’s surface, and in space — and none of them has yet managed to sniff out a dark-matter particle. If they do, it would be a significant step toward supporting Randall’s hypothesis.